Montpelier vs. U-32, 2013. Midway through the first half, U-32’s Andrew Danyew hit a long ball from half field with the perfect arch and distance, and it dropped right over the Montpelier goalie into the back of the net. This momentum propelled the Raiders defense through the rest of the first half and most of the second half. 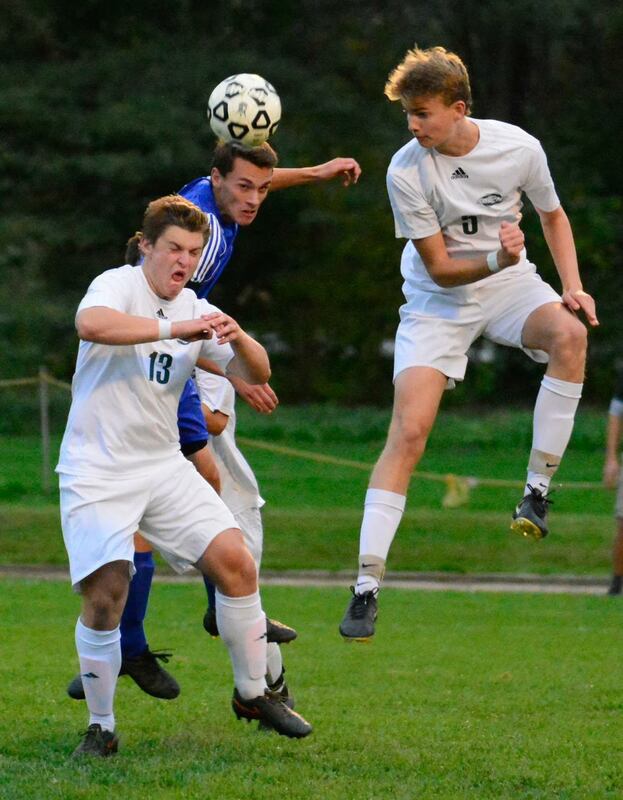 With only a few minutes left in the game Montpelier’s TJ Dellipriscoli made a run into the box, was tackled by a Raiders defender, dove, and drew a penalty kick. “I felt him clip my ankles so I went down and drew the foul,” admitted Dellipriscoli to a reporter after the game. The play brought the game into overtime on the Solons home field. Only a few minutes into overtime, the Solons drew another foul just inside the Raiders’ half. A perfectly placed ball to the head of Dellipriscoli and into the back of the net proved fatal for the Raiders. Dellipriscoli jogged by the Raiders fan’s waving his hands with his palms up, egging on the Raiders crowd. This is not a normal thing to do to celebrate a goal, but this wasn’t a normal game. The rivalry between U-32 and Montpelier has been alive and prospering since the early 80’s. Since then, ironically Montpelier hockey has ceased to exist, and they now play under the Raiders’ name. Both schools still have strong soccer and basketball teams always making for an exciting game. The Raiders were able to prove this twice last year, once during regular season and once in the playoffs. While the regular season proved to be a mostly uneventful win, the playoff game showed just what emotions a rivalry could bring out. Late in the second half of the playoff game a fight broke out. Tensions were running high as the end of regulation time was approaching with no score in the game. After a somewhat controversial tackle was made against a Solons player, some words were exchanged, followed by some shoving. The majority of the fight happened within a few seconds, although both teams had players moving in, ready if the fight continued. The only card given was to Solons junior Captain Lucas Eldred. So far this year, the Raiders have fallen to and tied the Solons. 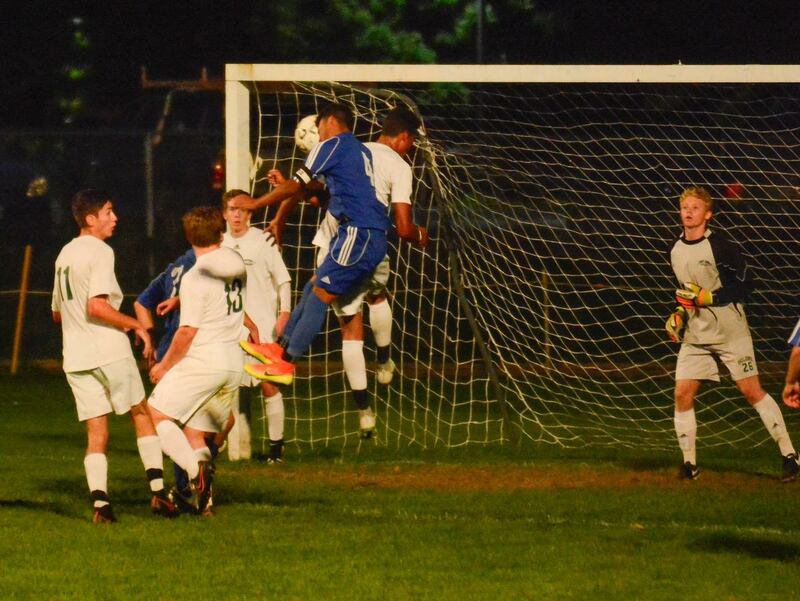 The boys varsity soccer team lost to them 1-0 earlier in October and the girls team tied them 0-0 in mid October. 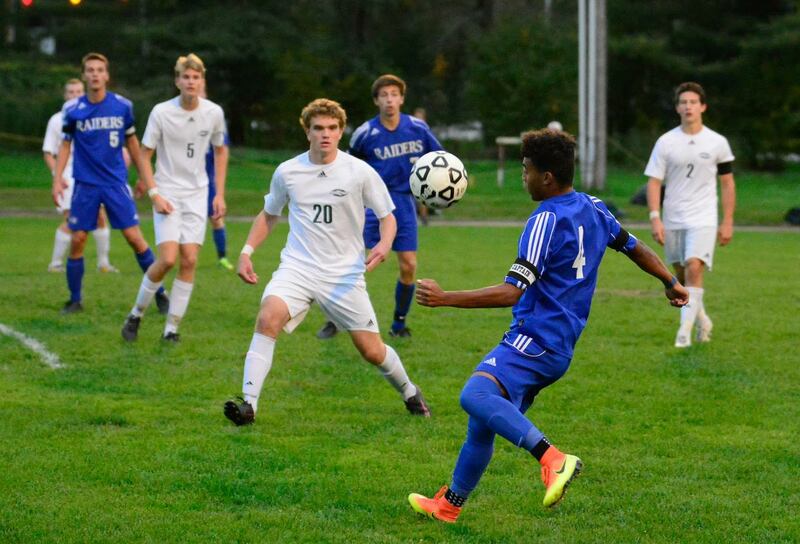 Both the Montpelier and U-32 Boys soccer teams have been eliminated but there is still a possibility of the two girls teams matching up in the finals.